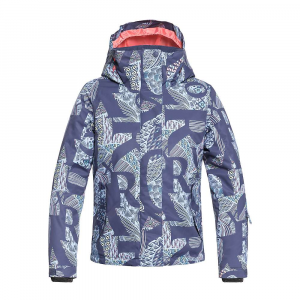 The worst thing about the Patagonia Wintry Snow Insulted Girls' Coat is that once she gets it on, it might be a struggle to get her to wear anything else. 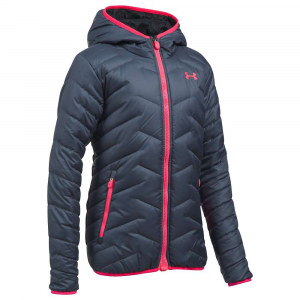 Apart from looking great, the super-comfy Wintry Snow is full of cozy high-loft insulation and boasts a fleece-lined hood and fleece-lined handwarmer pockets to keep her comfy on the way to school or her friend's house. Elastic around the cuffs and at the back waist seal out drafts, and the mid-thigh cut provides an extra dose of style and warmth. 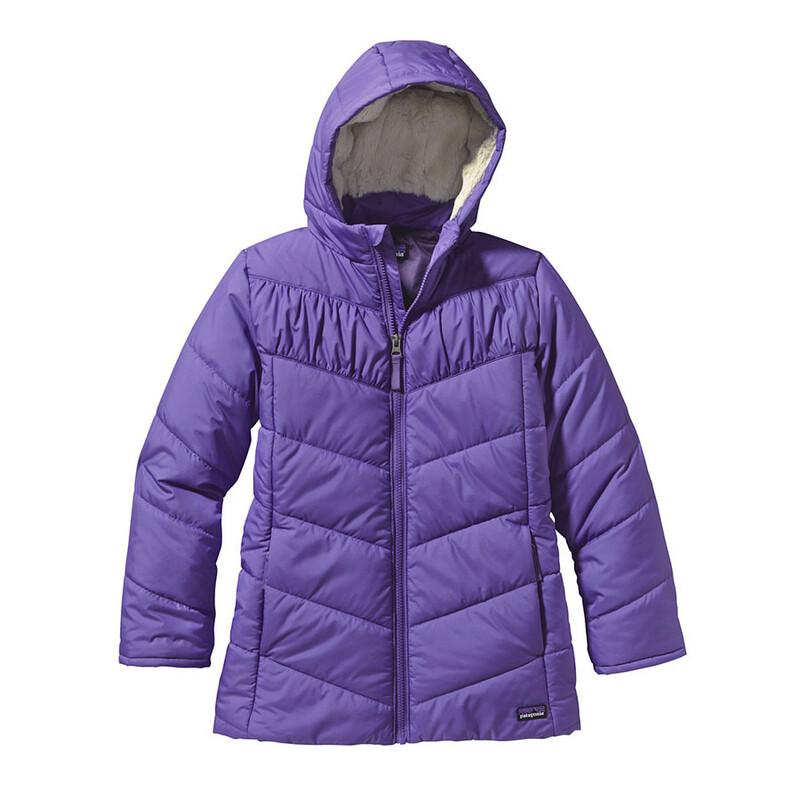 Patagonia Girls Wintry Snow Coat - New - Shelter her from the cold in our Girls' Wintry Snow Coat made of warm high-loft insulation with silky high-pile fleece in the hood; mid-thigh length. You can't protect her from hardship, but you can protect her from grueling weather with the Girls' Wintry Snow Coat. Water- and wind-resistant recycled polyester shell with a DWR (durable water repellent) finish shields against cold. 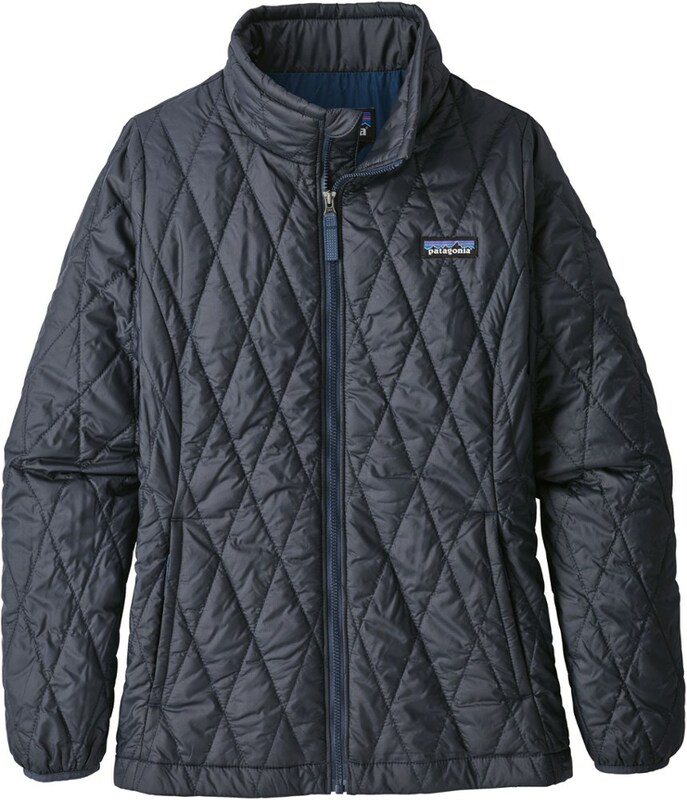 The insulated coat has 150-g high-loft polyester and features a plain-weave lining for easy on/off. Comfy, 3-panel hood lined with silky high-pile fleece adds warmth. Front-center zipper is backed with an insulated wind flap. Ruching on the front yoke and elasticized back waist lend style and shape. On-seam zippered handwarmer pockets are lined with brushed microfleece. Length falls above knee. 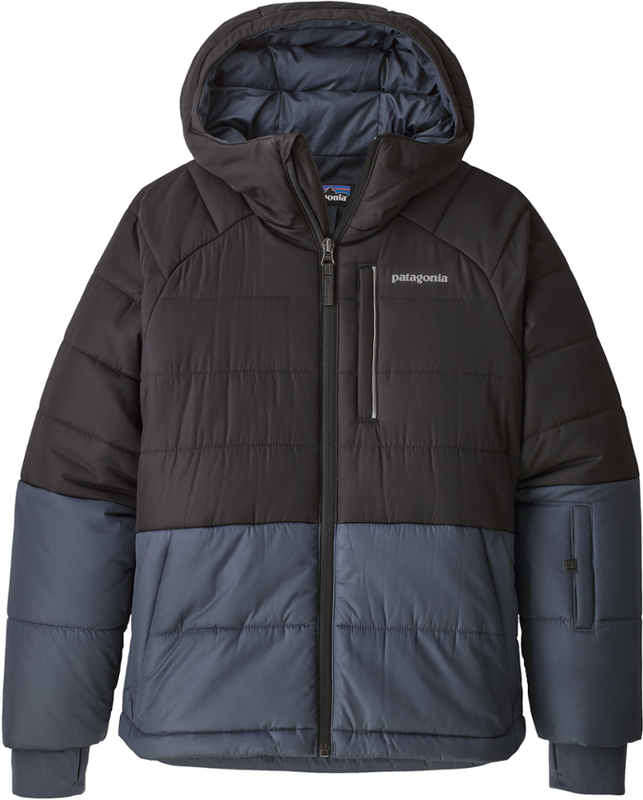 Water- and wind-resistant recycled polyester shell with a DWR (durable water repellent) finish; polyester plain-weave lining for easy on/off; body insulated with 150-g high-loft polyester; hood lining insulated with polyester silky high-pile fleece Warm and comfortable three-panel hood is lined with silky high-pile fleece Center-front zipper with reflective webbing pull is backed with insulated wind flap; ruched detail on front yoke Two on-seam zippered handwarmer pockets lined with brushed microfleece Internal elasticized cuff keeps cold out; elasticized back waist gives nice shape Falls above knee Hand-me-down ID label Shell: 2.3-oz 100% recycled polyester with a DWR (durable water repellent) finish. Lining: 2.2-oz 100% polyester plain weave. Insulation: 150-g high-loft polyester. Hood lining: 12.4-oz 100% polyester silky high-pile fleece 538 g (19 oz) Made in Vietnam. You can?t protect her from hardship, but you can protect her from grueling weather with the Girls? Wintry Snow Coat. Water- and wind-resistant recycled polyester shell with a DWR (durable water repellent) finish shields against cold. 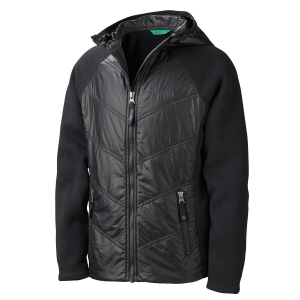 The insulated coat has 150-g high-loft polyester and features a plain-weave lining for easy on/off. Comfy, 3-panel hood lined with silky high-pile fleece adds warmth. Front-center zipper is backed with an insulated wind flap. Ruching on the front yoke and elasticized back waist lend style and shape. On-seam zippered handwarmer pockets are lined with brushed microfleece. Length falls above knee. 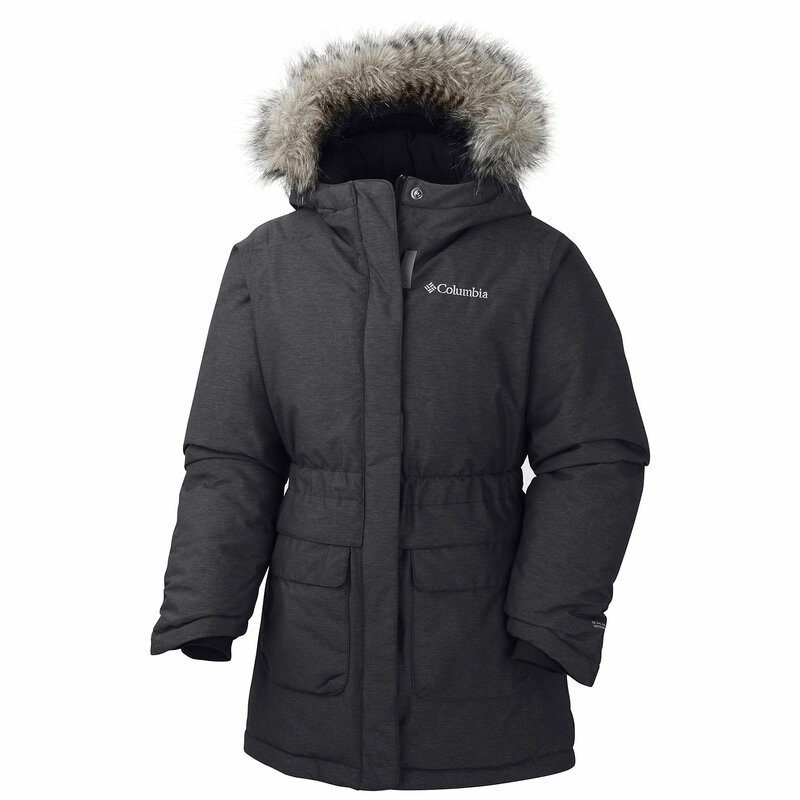 The Patagonia Girls' Wintry Snow Coat is not available from the stores we monitor. It was last seen January 9, 2018	at Backcountry.com.